If you’ve ever picked up the morning paper, or scrolled around any number of lifestyle websites, you’ve probably come across your “daily horoscope.” Dependent on planetary movement, horoscopes are said to predict anything from your day-to-day areas of opportunity to your overarch- ing critical flaw (also known as your Lilith moon). 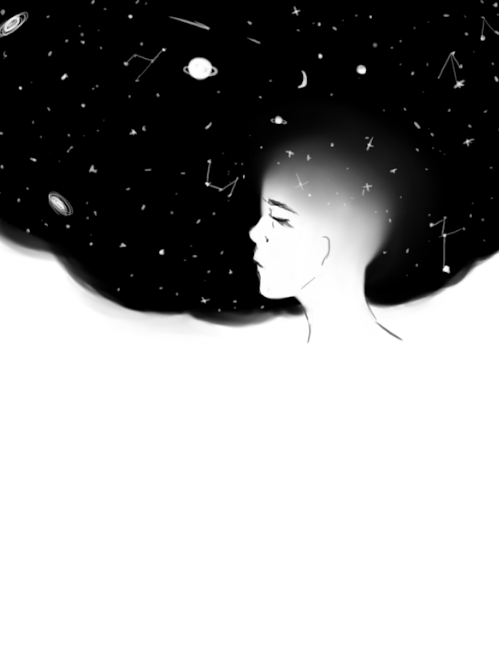 Although the scientific merits of astrology — the study of celestial bodies used to develop horoscopes — are debatable, many people feel that it can be used to further our understanding of events in the natural world. According to Cafe Astrology — the leading website for finding your birth chart — a birth chart goes beyond a horoscope, as it takes into account your exact time and place of birth to more accurately identify the effects of the celestial movements in your life. I sat down with Diamond Blue, a CHS senior and self-professed astrology skeptic, to go over her birth chart for the first time. Blue’s birth chart reveals that, like Logan, her sun is in Virgo. On the surface, it may seem like this means that Blue and Logan share similar qualities, but that is not necessarily true. Because the two were born on different days, at different times, and in different locations, their birth charts — and according qualities — are unique. The placement of her opposition sun, for example, indicates that Blue is likely to consider both sides of any given situation. Like Blue, CHS librarian Kara Watson — a Scorpio — is willing to recognize some value in astrology, despite fair skepticism. As far as the scientific support for astrology, Watson is not so convinced; “I don’t really believe in it,” she says. She does, however, admit to seeing astrological effects here at CHS. The sports network we all know – and used to love – is dying a slow, ugly death. Ratings are down, fan favorites were fired, and journalists are leaning to clickbait to attract viewers — and it will only get worse. The monopoly ESPN once held on the five major sports (Soccer, Basketball, Baseball, Football and Hockey) is no more. There are simply more outlets and platforms to enjoy sports on. This include sites such as Bleacher Report, Yahoo Sports and even social media platforms like Twitter and Instagram. A lot of sports fans are no longer forced to wait for their news when they get home, because an alert will pop up right on their phone. Therefore, people are updated on all of the crazy goals, dunks, home-runs, hits and fights throughout the day, so they don’t have to rely on watching Sports Center at night for their daily recap of sports news. Of course ESPN is a part of the smartphone fad, but in order to get those clicks they must separate themselves. The way they do this, though, is by using yellow journalism: better known as clickbait. One example of this clickbait was a back-and-forth between Golden State Warriors “star” (another story for another article) Draymond Green and ESPN. A reporter asked Green about the weak competition in the Eastern Conference during the 2016-17 playoffs. Green responded by saying as a fan he enjoys watching good basketball, referencing the Cleveland Cavaliers. The next day, ESPN released an article titled, “Draymond Green disappointed Cavs’ opponents going down easily.” Green then clarified his statement, sarcastically saying, “so there there goes your headline of the day, “Draymond says ‘Cleveland playing great basketball’”. Let’s see if that one makes it”. Instead, ESPN went with, “Draymond Green critical of media, ‘Says Cavs playing great basketball’”. While the increasing use of smartphones does explain the daytime talk shows and SportsCenter ratings falling, this does not explain why ESPN’s heralded Monday Night Football ratings have been plummeting too. Since 2013, Monday Night Football has been on a steady decline. Most individuals who enjoy football are home at 8:30 – the time of kickoff – yet the ratings each week continue to decrease. However, some Monday Night Football matchups did have entertaining potential, such as the Saints, who finished the season 11-5, versus the Vikings, who finished 13-3. When two good teams match up, why aren’t the people watching? Maybe because people are less interested in football? Partially, but that isn’t the true reason. In actuality, fewer and fewer people have cable. With the advancements in the internet, families are ditching their cable boxes in search of cheaper alter- natives. These include subscriptions to streaming services such as Netflix, Hulu, CrunchyRoll and more. As time goes on and members of Generation Z all become adults, you can only expect that the death of ESPN is inevitable. 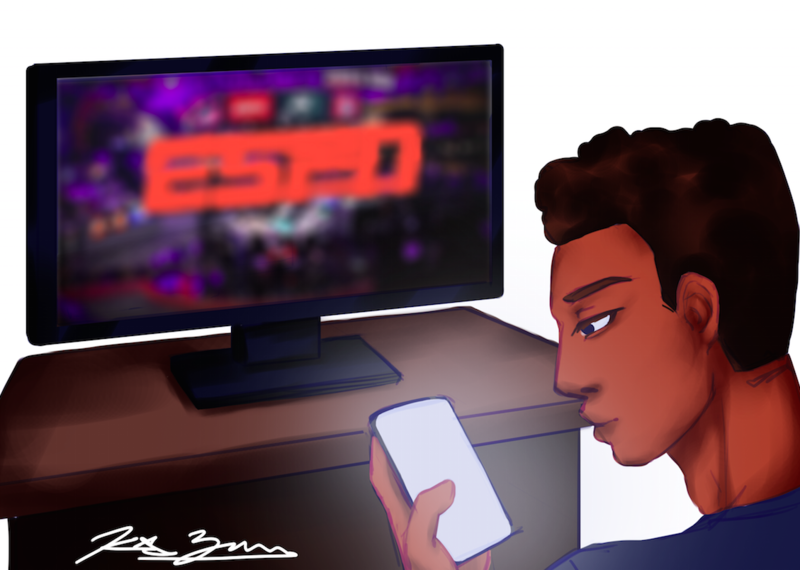 While they may never be able to return to their former glory, there are a few things ESPN can do to regain viewership and respect. They need more entertaining, less cringy show hosts. The late Stewart Scott would recap games with a certain excitement that fans tuned in to enjoy. Today, people watch ESPN to laugh at Stephen A. Smith yell at the top of his lungs for players to “stay off the weed” and say the word blasphemous over a million times. Part of the problem is that some ESPN’s favorites have either retired or fled to other networks. While childhood nostalgia makes me hope for the best, we should all expect the worst. Location: The location at Rise is the better of the two, with lots of parking all around it. It is right smack in the middle of Carrboro, so it’s an easy walk if you live nearby. Price: Rise doughnuts are reasonably priced, and so is the coffee. The biscuits are more pricey at nearly $5 with toppings, but they are still very delicious. Variety: At Rise, you have a variety of biscuits, doughnuts, coffee, “hashpuppies”, salads and even chicken strips. Time: Rise is super fast for donuts, but you might have to wait at least five minutes for your biscuit, especially if the restaurant is crowded. Vibe: Rise is very cute and resembles a boutique city bakery. You can go inside and sit down, and there’s even a chalkboard to draw on in the back. Overall: Rise Biscuits is a place to go to meet your friends and have a nice meal before work or school. If you want a really fluffy but generic biscuit, Rise is for you. Location: Sunrise’s location is farther away from CHS than Rise is, but there’s usually less traffic. The only traffic is actually the line into the drivethrough. Sunrise is on the northern end of Franklin Street, so it is not too walkable from downtown. There is, however, a small parking lot on one side. Price: Sunrise’s biscuits are less expensive than Rise, but only by a bit; a chicken biscuit is $4.29. Overall, they cost about 50 cents less than Rise’s. Variety: At Sunrise Biscuit Kitchen, there are a variety of biscuits as well as coffee, great sweet tea, cinnamon rolls, hush-puppies, fries, grits, sandwiches, hot dogs, hamburgers and small break- fast platters. Time: Sunrise is super quick as it is a drive-through, so you shouldn’t have to wait more than two minutes for your food, but the car line itself can take upward of ten minutes. Vibe: There is something to love about a local kitchen that serves biscuits; it’s just plain Southern. It is a family-run kitchen, with both owners being born and raised in the South. It’s just like something you might see on TV. Overall: Sunrise Kitchen is the place to go when you’re in your pajamas, on the go or just want to sit in the car with your friends and listen to music. If you are looking for a real Southern biscuit or meal, this is the place for you; they’re homemade and fluffy — one of the best I’ve ever had. Puerto Rico, the opioid crisis, Flint: all big headlines from months ago that spread across social media. Google Trends uses numbers to represent search interest over time, with 100 representing peak popularity. In September of 2017, the term “Puerto Rico” was at 100, and, by only a month later, the term had dropped to 32. More than four months have passed since Hurricane Maria plowed through Puerto Rico, leaving the island devastated and desperate for help. When the incident first happened, social media sites were filled with thoughts and prayers and fundraisers to help citizens in need after the devastation. Four months later, about one-fourth of the population in Puerto Rico is still without electrical power according to The New York Times. The island’s leaders have announced they will not be able to pay any of their more than $70 million debt for the next five years due to the damage caused by Maria. Despite Puerto Rico’s ongoing struggle, its social media ranking has dropped precipitously. So what does this say about people? Do people just not care about news stories for an extended period of time? Or are the news stories not being reported? What is the cause of this 68-point drop? Part of the cause could be where people get their news from. In the past three months, The New York Times has reported on some aspect of the crisis in Puerto Rico over 20 times. Yet, when you log onto social media, there is nothing about Puerto Rico. Articles are not being shared to the same extent they were months ago, and figures with large followings are not posting about the news. The problem remains that the information is not regularly broadcast to users. Instead, one must actively search for stories on Puerto Rico or Flint, Michigan because they aren’t in the headlines when someone turns on the news. In Flint, Michigan, there are still 12,000 homes that need pipe replacements. Stories like Flint are far from over, and it’s hard to help alleviate the devastation when you don’t know what’s happening. While social media can be good for speedy facts, it is not good if you’d like an in depth story on an issue. To fill in any gaps of knowledge, it is best to use both social media and direct sources such as to ensure you are up to date. Students in Parkland, Florida, came to school on an ordinary Valentine’s Day morning. What they didn’t know was the terror that they would have to endure later. Nikolas Cruz, a 19 year-old ex-student of Marjory Stoneman Douglas High School killed seventeen people in yet another mass shooting. While this is a major tragedy, we cannot forget the shootings in Las Vegas, Orlando, Sandy Hook, San Bernardino and more. These mass shootings have a direct correlation to the adaptation of the Second Amendment. Second Amendment was written in 1791, two years after the adoption of the Constitution. This amendment stated that Americans have the right to bear arms, or to own a firearm. Ever since the passing of this amendment in 1791, the gun has modernized to fit the wants of American citizens and the US military. From revolvers to shotguns and from pistols to automatic weapons, guns have become a part of American culture that will be difficult to alter. The issue with the Second Amendment is that different people interpret the meaning of it in different ways. This leads to the confusion we have today over modern gun reform and the debate between pro and anti-gun. Mass shootings are happening on a regular basis. The first major mass shooting to bring national attention to the issue was the shooting at the University of Texas- Austin bell tower in 1966. Ever since, hundreds of mass shootings have occurred, seemingly with more people dying in each one. The largest mass shootings have been the Pulse nightclub shooting in Orlando, Florida, and the Route 91 shooting in Las Vegas, Nevada. The latest shooting, the Marjory Stoneman Douglas High School shooting in Parkland, Florida, brought major attention to the solution, and not as much the shooting itself. With all of the recent activity involving guns and mass shootings, there needs to be some regulations. Guns should have many restrictions put in place, such as background checks, age restrictions and banning of automatic weapons to ensure the safety of others over the personal freedom of gun owners. But why should we have gun control? The United States has much higher rates of gun ownership than any other country in the world. The US makes up less than five percent of the world’s population but still accounts for 31 percent of all mass shooters. Our homicide rates are over 25 times higher than any other first world country, with the runner-up being Finland. Americans own more guns per capita than any other citizen in the world, and Americans own about half of all civilian guns worldwide. With statistics like these, it is clear that America has a major gun problem. With that many guns at the people’s dispense, it isn’t a surprise that we have so many issues with gun-related fatalities. In 2018 alone, there have been over 10,300 gun violence related injuries, with there being over 2,700 subsequent deaths. While millions of people harmlessly own guns in this country, we need to put the safety of future victims in front of personal freedoms. Lawmakers should first focus on making sure people are unable to purchase an automatic or semiautomatic weapon — period. Automatic guns are weapons of war that have no ethical use in the hands of a civilian. The only people who should own this type of weaponry are highly trained police officers and any trained soldier in the military. There is no logical reason for a normal civilian to have this type of gun, let alone a mentally unstable person like some of those involved in many of today’s mass shootings. absurd, especially when one could have a pistol or a taser and use it just as effectively. This gun is not necessary to have, and it is an example of the first steps we need to make towards gun control. In a poll conducted on a small group of Carrboro sophomores, almost all were in agreement that there should be more gun control than we currently have. 92.3 per- cent said that there should be, while 7.7 percent said there should only be partial gun reform. In the same poll, 76.9 percent said that automatic and semiautomatic guns should not be allowed for purchase by a normal citizen while 23.1 percent said that they were not sure. It is clear that firearms have a negative impact on our modern society and cause lots of unnecessary deaths. It is time that we, as a community, stand up and fight the current position of our government on guns. After the shooting in Parkland, Florida, many people felt distraught with grief for loved ones lost and wounded. Mass shootings have become a pattern in this country, and that in itself needs to be changed. Events like these leave us wondering: When will the next one occur? When will another shooting be condemned, and then not acted upon? When will it happen to me? The CHS Science Olympiad team won their regional competition for the first time ever this year on Saturday, March 3. The varsity team placed second in regionals overall, giving them the opportunity to compete in the state competition. The club has existed at CHS for five years, but they hadn’t made it into the top three school teams until this year. Margaret Reed, a member of the Science Olympiad, spoke about her experience. “We haven’t been successful in the past, so to see the fruition of our hard work all come together was really nice, and our president played a big role in that because she got everyone motivated and hardworking,” said Reed. Bhairavy Puviindran, club president of the Science Olympiad, echoed her sentiment. Puviindran found it very rewarding to see her club’s hard work come to fruition. It motivates the club to work harder, so the effort they put into the state competition might be worth the result. “I think just because it’s been so long since the Carrboro Science Olympiad team has made it to States that however well we do, it’s going to be fine because we made it to States,” said Reed. Blended classes were implemented this year in English and social studies classes of the current freshmen. Based on the program’s success, CHS faculty and staff will expand blended classes to both the sophomore and freshman classes for the 2018-2019 school year. The blended classes initiative began five or six years ago, but the Board of Education didn’t approve it at the time. With the current freshman class, though, CHS faculty and staff have revisited the policy with the support of both the CHCCS Board of Education and the new superintendent. As a result, freshmen English and world history classes at CHS have included students enrolled in honors and standard. Blended classes consist of both standard and honors students in the same classroom. Honors students are held to a higher standard of work than standard students. Having standard and honors students in the same classroom allows students to better assess which class is right for them. “Students are exposed first quarter to the teacher and the content, and they and their family can decide if they want to do standard or honors without having to switch classes and schedules at that point,” said Principal Beverly Rudolph. CHS English teacher Sibel Byrnes will be teaching blended classes for the first time next year. She has never taught blended classes before, but she is ready to do lots of training over the summer to prepare. “I’m excited because I know how well the ninth grade blended classes have gone, so I’m excited to bring that up into the tenth grade classes,” said Byrnes. Byrnes explained that in her English classes, she normally does whole class novels. With blended classes, she plans to get more creative with the way she teaches by introducing independent reading and group reading, such as literature circles. Blended classes also allow students to select their classes free from the influence of their peers, CHS social studies teacher Lisa French explains. “There is also the benefit that students don’t have to worry about taking a certain course because their friends are taking it. They can still be with their friends, but pick the course that is right for them,” said French. When walking through the CHS hallways, it’s easy to observe that classes are racially skewed. CHS teachers recognize the importance of having racially diverse classrooms to allow for different points of view to be expressed and see blended classes as a step towards creating that. “It really does create a learning environment where you are forced to learn from people that are different from you, and that’s part of what an education is,” said Rudolph. Additionally, the racial grouping that begins in the classroom continues outside of it as students tend to be friends with students they have classes with. This can create cliques based on race — cliques that can foster ignorance about racial and cultural differences. 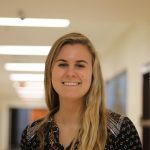 “From my experience this year, having taught both standard and honors level classes, students tend to get in bubbles here where they don’t interact with students they don’t regularly have classes with. I saw this stratification for the past few years, but with blended classes, I’m not seeing that as much, so I think that on a social level there is more cohesion,” said English teacher Anthony Swaringen. Rudolph hopes that blended classes can teach students how people different than themselves think and act. She hopes that this understanding and cooperation will facilitate the growth of the kind of adults needed to lead the nation. “Our society doesn’t know how to talk to people who are different than us culturally or belief-wise. We’re terrible at it. My hope is that, by being in a more diverse atmosphere, students learn multiple points of view,” said Rudolph. French hopes that blended classes will help students find the class that is right for them as well as improve overall diversity. “My hope for blended classes is that it will increase the diversity in the classroom and increase the diversity of the students in honors courses,” said French. 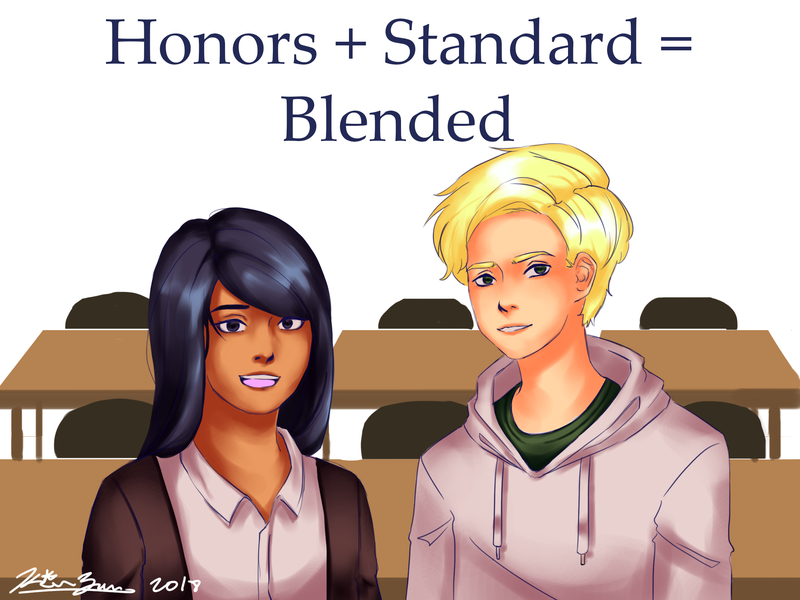 Swaringen thinks that blended classes will teach students that everyone grows and improves regardless of whether they start in an honors class or a standard class. He thinks everyone should have access to an honors level education and that it’s important that everyone understands what honors classes entail. With blended classes’ emphasis on diversity and appropriate placement, faculty hope achievement improves. Understanding other points of view may help students both receive a better education and grow into respectful adults. 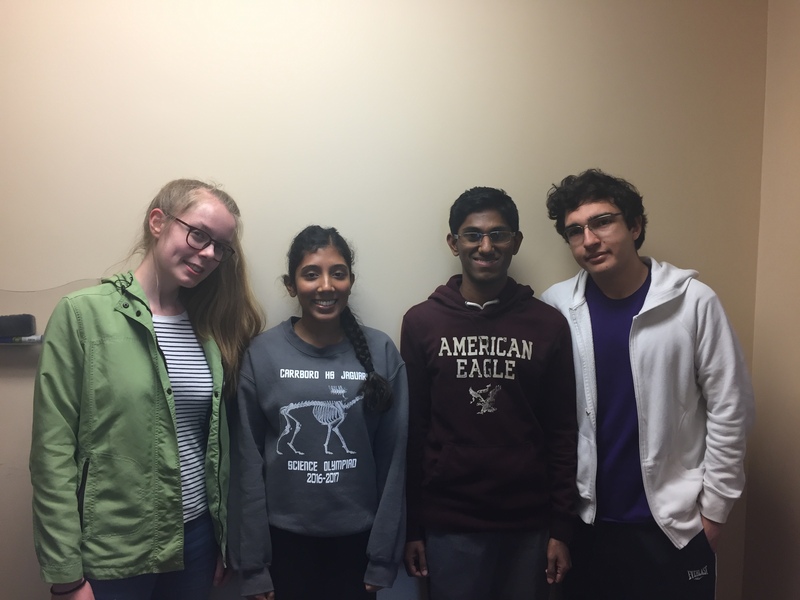 The Carrboro High School Quiz Bowl team, led by coach and captain Tejaz Ajit, competed in the State tournament this year on Saturday, March 17. 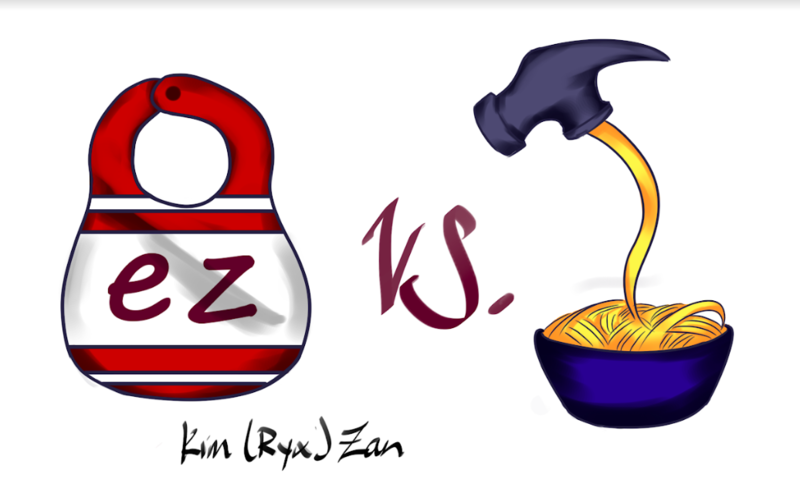 Quiz Bowl is a competition in which two teams attempt to answer the most questions correctly over the course of two ten question halves with an alloted overtime period in the event of a tie. Questions can be based on science, history, literature, fine arts, current events, pop culture and sports. Qualifying for States is one of the many accomplishments that the CHS Quiz Bowl team has achieved as they have also qualified for Regionals and Nationals, and several players on the team have placed in the Top 10. In addition to performing well, the team has improved away from the competition. “Putting stats aside, I like to think that we have learned a lot, and that we have put together teams that work very well together and are diverse enough to be able to get all the questions we can,” said Ben Gerhardt, member of the team. In order to prepare for States, the team held weekly meetings in which they read and answered previously-asked questions. In addition, team members studied individually to be better prepared in their specialized areas. Favorite moments of the team’s included the Halloween tournament, in which players competed wearing costumes to celebrate the holiday, and Regionals, where the team came within fifteen points of beating one of the strongest teams present. “Quiz Bowl is very competitive, but we have kept strong relationships with the schools in our area, and we have done our best to compete in our most pressing rivalries,” said Gerhardt. CHS placed fourth at the State tournament this year, moving up three places from last year. The team had a very competitive matchup with North Carolina School of Science and Math (NCSSM) in the playoff round, loosing 205-300 after aquireing an impressive lead at the half. to improve our game for Quiz Bowl nationals,” said Tejaz Ajit, team captain. The national tournament will take place in Atlanta over Memorial Day weekend this May. The club hopes that continued success there will encourage more people to join the Quiz Bowl team. This past March was filled with crazy upsets that proved to everyone why predictability is never a guarantee. The top bracket on the ESPN bracket challenge didn’t even predict the Elite Eight completely correct. At CHS, the only two brackets to guess the finals correctly were entries from junior Lyon Teesdale, and sophomore Isaac Bryant. According to the ESPN bracket challenge, only 2.18 percent of people who created a bracket this year predicted the UMBC win over Virginia. Virginia was upset by 20 points, 74 to 54, proving that no game is a guaranteed win for any team. The next surprise was Loyola Chicago who made it to the Final Four. They haven’t been to the Final since 1963, when they went on to win the National Championship, too. This year, they won each of their first three games with buzzer beaters. “Gotta cheer for the underdog,” said freshman Max Van Horn, who cheered for Loyola Chicago. Texas A&M dominated UNC in the second round which was a huge surprise to many. Texas A&M took advantage of their rebounding, physicality and superior size to destroy UNC. UNC also shot 19.4 percent from three and 33.3 percent from the floor, which didn’t help their case. Syracuse was also a surprising team, making it to the Sweet 16 after defeating Michigan State in the round of 32. Florida State also surprised many as they upset high seeds, they beat Gonzaga and Missouri in the first two rounds but also beat the first seed, Xavier, in the West quadrant of the bracket. Three teams with with seeds above eight made it to the elite eight and two top seeds survived to the final four. This year, UNC was not expected to win it all, but they were predicted to go pretty far in the tournament, especially by Carrboro students. Texas A&M had a different idea. Texas A&M’s group of “big men” proved to be a mismatch against the young UNC centers who were out rebounded by 50 to 36. Although it was a short and sad ending for one North Carolina team, Duke’s talented freshman class led them to the Elite Eight where they played Devonte Graham’s fierce Kansas team. Grayson Allen had the opportunity to send the Blue Devils to the Final Four but he barely missed the game winning shot, which took the game into overtime where his team ended up losing by four. “I cried tears after the Kansas game,” said sophomore Isabel Simmons, a Duke fan. “Experience definitely overshadowed talent especially in the Duke vs Kansas game,” said Elijah Jones, junior and also a Duke fan. It wasn’t the year for any of the main North Carolina college basketball teams, but the experienced Villanova team that destroyed Michigan in the finals 79 to 62. In the end, March was clustered with surprises and upsets that no one could have foreseen. Despite the unexpected turn of events, it didn’t come as much of a shock to see a strong and disciplined Villanova team go on to win the title, thanks to an amazing performance from Donte Divincenzo. Divincenzo finished the season with 31 points and five rebounds. Duke and UNC are going to have very young and talented teams but it will be hard to tell whether either of these two teams can win it all because we don’t know how they will play with the majority of the teams being talented freshman.